If you do some workouts regularly, your clothes retain bad smell and get dirty after a few days. So, it is essential to wash and dry your workout clothes on a regular basis to keep them clean and fresh. You can wash your clothes in various processes. Besides, you should keep your sneakers, socks clean. If you always keep your clothes and yourself clean, you can keep yourself healthy. When you practice your workouts, you sweat, and it makes your clothes wet. So, correctly clean your workout clothes and dry them in the right way. Extra detergent is harmful to gym clothes. The washing machine has the cycle that needs the detergent of a certain amount. So, the excess amount cannot release properly and keep behind of the clothes. It makes trapping dead skin on your clothes and also creates fungus. Besides, in the market, you will find the sport-specific detergents that help you to remove sweat and bacteria properly. We know that sweat and bacteria remain inside of the clothes material. So, you need to flip the clothes inside out. It also protects the color and other things such as logos, printed designs, etc. of your clothes. This rule should be maintained for the activewear. If you use fabric softener, it will coat your clothing. It also traps bad smells of your clothes. Besides, this coating of softener can damage the fabric. If your workout clothes are moisture-wicking, any fabric softener can restrain this technology. 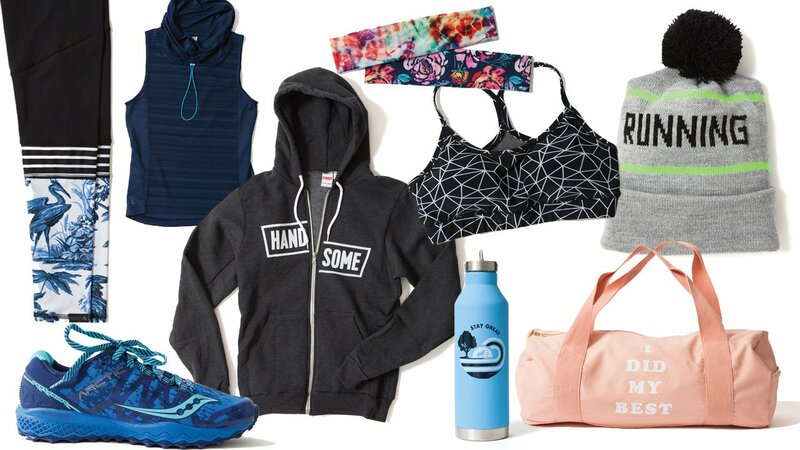 To keep your activewear fresh, you need to keep it cold. So, always use cold water, and gentle cycle to minimize the breakdown of the materials. You can also see the instruction and it will tell you to use cold water to wash the clothes. Always dry your workout clothes in the air because they are made of high fabrics. It prevents the melting of the reflective detail, decoration dulling and provides durability of the product. If you use the dryer, the reflective logos and yoga pants get pilled. So, avoid this mistake. If you need to use the automatic dryer, you should keep the heat lowest. High-temperature damages the fabrics and causes shrinkage. Your workout clothes get stains anyway. To remove any stain, you can use baking soda with water. Take three portions of baking soda with one part of water and rub the mixture on the stain. Then let is to sit for 20 minutes. Then wash it with cold water. When you get sweat, do not allow it to sit in your clothes. From the sweat, your clothes get smelly and hard to remove it. When the odor is one of the major issues for your clothes, you can soak the clothes in some vinegar before giving it in the washer. The odor of workout clothes is the result of the bacteria in the body soil. As our body soil is salty and oily, bacterial loves this. The best way to break the body soil and clothes bonding is some distilled vinegar because it contains a very low amount of acid. So, sock your clothes in the mixture of cold water and vinegar before washing them. It is better to wash workout clothes after every time you wear. If you allow the sweat of the clothes to dry, and wear again, it builds the layers of bacteria and your body soil. If you cannot wash them in the same day, keep your clothes to air to dry properly before wearing them again. Besides, clean your gym bag once a month because bacteria can grow in it. Always use cold water to wash fabric clothes. Sometimes warm water is also used. But you should correctly handle the water temperatures to get the good result. You can use little hot water to wash your cotton socks, towels, t-shirts. But wash them separately. Now see a guide to wash your workout clothes and keep them intact and clean. Turn the clothes inside-out to keep the colors safe. Also, many of the stuff accumulate the inside of gym clothes. It is not good. Before washing the clothes, you should sock the clothes in the mixture of some water and some white vinegar for 20 minutes. It removes the odors during breaking down gunk that can be built up after every workout. Use a little amount of detergent. You can use the amount that your clothes recommended. Then wash the gear in the cold water. Do not use hot water during washing your clothes because it damages the fabrics. If you want to remove serious odors, you can add more half cup of vinegar to the rinse cycle. Dry the clothes in the air. Try to avoid any dryer. It is essential to keep your high-performance workout clothes clean and odor free. Just these tips can help you to take care them the right way. You can wash most of the sneakers in your washing machine. For this, you need to wipe off the mud and major dirt. Then take away the shoelaces. You can tie the laces inside a pillowcase. Now toss all them into the machine with a dark towel or some sheets. It will keep them away from bouncing around when the machine rotates. Run the washing machine with some cold water. Then take out the shoes from the machine and let them dry in air. You should replace your workout shoes after every 300-400 miles. This recommendation is from Jena Winger who is the associate product manager at Brooks Running Footwear Company. The cushioning is the first thing that breaks down because the midsole of the shoes is made to absorb the shock. When we complete our workout, we like to take a shower. It is a better idea to take the sports bra with you during your shower. When you clean your body or using shampoo to wash the hair, you can use some shampoo on your bra for a gentle scrub. Then wash it and keep it to dry in air. Any laundry detergent and heat of the dryer damages the spandex fibers of your sports bra very quickly. So, if you use detergent, do not use the chlorine detergent and warm water. We know that the straps of sports bra support the system. So, when straps and bands get damaged, you should change your sports bra. To clean workout leggings and keep them durable, you should avoid the dryer and keep the gears flat in the natural shape in the air to dry. If you use the dryer, it will reduce the elasticity of the leggings and also reduce its moisture-wicking capacity. Besides, do not use so much detergent and avoid fabric softener that affects the absorption capacity. When the elastic of your leggings starts to peek at the waistband, you should try the new one. Besides, when you see that the leggings ride down during your exercise, you need to retire them. If you wear cotton tops during your workout, you can clean them with hot water and then dry them in a dryer. We know that cotton is considered as one of the durable fabrics. So, hot water for cotton clothes can perform a hygienic cleaning. But when you use the gears of high-performance fabrics, you should avoid hot water and dryer. It is essential to keep the workout clothes clean and smell free. For our healthy and hygienic life, we should always wash the gym clothes as soon as possible. You can follow the tags of the clothes. Here, you will get some instructions. You will see that some clothes must be wash by using the hand. When the label says to do hand wash only, then you should use a sink and a little amount of detergent to wash them. We see that cleaning and drying of the workout clothes in the proper way is very important. To clean correctly and keep your workout clothes durable, you should follow these few tips. Cleaning gym clothes is not a hard work. Besides, keep yourself clean is one of the major ways to stay healthy. So, try to wash your workout clothes regularly after completing the exercises. Avoid hot water, fabric softener, detergent, dryer for long-lasting of your clothes. If you allow your body soil and sweat dry on your clothes, it can grow bacteria and fungus. So, keep the clothes clean and keep yourself healthy.